For those who love Indian movies, Ster-Kinekor has two much-anticipated titles lined up this month that should satisfy all the emotional touch points, from action, drama and adventure to comedy and the romantic in all of us. Noor got released at select Ster-Kinekor cinemas on Friday, 21 April, with Baahubali 2: The Conclusion releasing in both Hindi and Tamil the following week, on 28 April, at select sites countrywide. The film is the Bollywood adaptation of the 2014 Pakistani novel by journalist-writer Saba Imtiaz, “Karachi, You’re Killing Me!”. Noor is directed by Sunhil Sippy and stars Sonakshi Sinha in the lead role, opposite Kanan Gill, Shibani Dandekar and Purab Kohli. 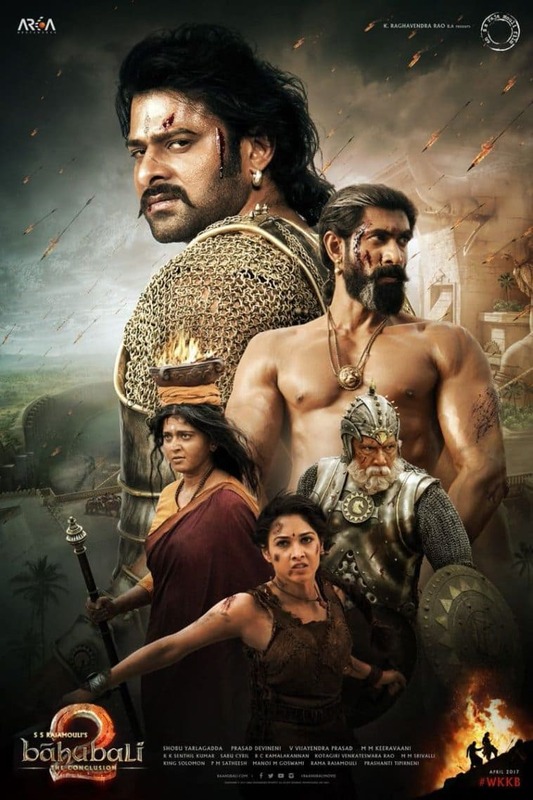 Directed by SS Rajamouli, this film is the long-awaited sequel to Baahubali: the Beginning, which is one of the top-grossing Indian epic historical fantasy films of all time. In Baahubali 2: The Conclusion, the film picks up with the hero, Shiva (Prabhas), the son of Baahubali, as he comes to terms with his legacy and the responsibility placed on him by this knowledge. As he learns more about his heritage, he starts to look for answers. His story is juxtaposed with past events that unfolded in the Mahishmati Kingdom. Shiva’s quest aims to find the answer to the question that’s been plaguing fans of the franchise for years: why did Kattappa kill Baahubali? The film stars Prabhas as Shiva, together with Anushka Shetty, Tamannaah, Rana Daggubati, Sathyaraj, Nasser, Ramya Krishna and Subbaraju. To accommodate a wider audience of Indian movie-lovers, Ster-Kinekor will release the film in both Hindi and Tamil at select sites from 28 April. The Tamil version of Baahubali 2: The Conclusion will be screened at The Zone in Johannesburg, Forest Hill in Pretoria and Gateway in Durban, with the Hindi version releasing at Carnival City on the East Rand, Sandton, Newtown Junction and Greenstone in Johannesburg, Musgrave in Durban and Cavendish in Cape Town. The Hindi film will also be released at two of Ster-Kinekor’s sites outside South Africa, at Arcades in Lusaka, Zambia, and at Sam Levy in Harare in Zimbabwe. For more information on Noor and Baahubali 2: The Conclusion, and for screening details, visit www.sterkinekor.com or download the SK App on your smartphone. You can also book at the box office. For news and updates, go to Facebook: Ster-Kinekor Theatres | follow Ster-Kinekor on Twitter: @sterkinekor. For all queries, call Ticketline on 0861-Movies (668 437).